KUWAIT: Zain being recognized by global smart home leader and Amazon company Ring. 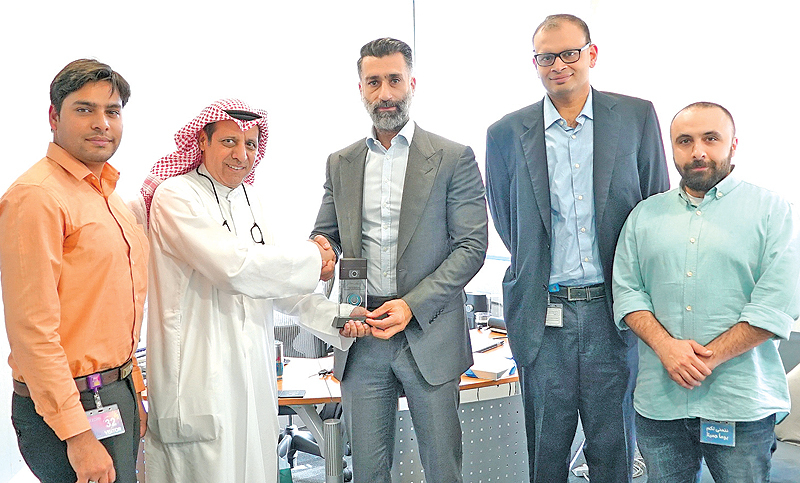 Ring and Amazon officials recognized Zain represented by Zain Kuwait’s Chief Commercial Officer Meshal Mohammed. Zain’s offering of Ring products under its Zain LIFE portfolio of innovative solutions comes in line with its strategy to transform into an integrated digital lifestyle provider, which is centered around digital transformation leadership and empowering the community to enjoy a smarter portable lifestyle, as well as using advanced technology solutions to enable an easier and more flexible life. The Ring kit, which comes with FREE installation, features a number of the latest outdoor security devices that were designed to provide a unique home security experience through several surveillance solutions that monitor the outdoor area and notify the user as soon as any unusual activity outside the home is identified. The kit includes 4 smart devices, including an outdoor video doorbell that works wirelessly, and features a high-quality camera with motion detection, night vision, and two-way audio. The kit also includes an indoor chime device that also works as a Wi-Fi extender, as well as two outdoor smart cameras that feature high-quality recording, motion detection, night vision, and two-way audio. The cameras immediately alert the user whenever movement is detected.